Chappell, Paul, and Goetsch, John. The Saviour Sensitive Church, Understanding and Avoiding Post-Modernism and the Seeker-Sensitive Church Movement. Lancaster, California: Striving Together Publications, 2004. This book is divided into three sections. In the first, John Goetsch addresses postmodernism. 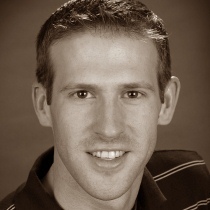 In the second and third, Paul Chappell addresses the seeker-sensitive mentality. First, Paul Chappell has a pattern of trying to address things from a positive angle. 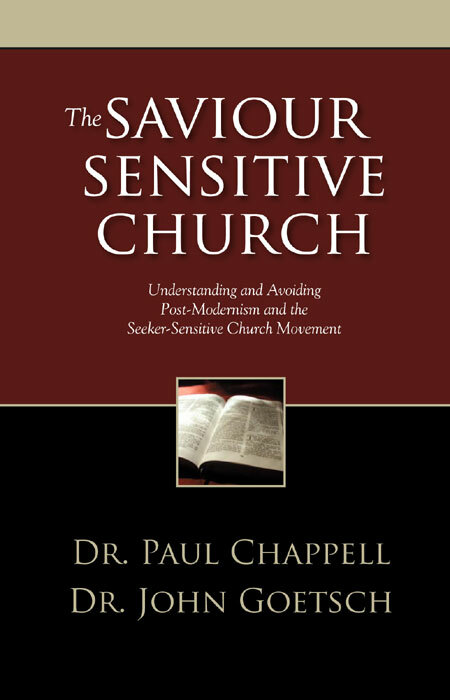 For instance, where an old-school Fundamentalist might have titled the book “The Seeker Sensitive Church (What’s Wrong with it),” Chappell tries to describe the positive, biblical approach and rebuke more as a function of contrast. I think the attempt is admirable. Second, the issues addressed in the subtitle do need to be addressed. This book attempts to do so. First, this book seems to be a parody of certain corners of Fundamentalist Christianity. Chapter one introduces anti-intellectualism, philosophical illiteracy, logical fallacy, ethnocentricity, and over-simplification. The following chapters demonstrate a pile of additional problems: shallowness, name-dropping, logical incoherence, rants on pet issues (the KJV, CCM, “the movies,” etc. ), and of course the frog in the kettle illustration is thrown in to complete the cliché. It’s simply not reasonable to make arguments in this way and expect them to be taken seriously. Second, the first section by Goetsch resembles a ritual burning of a caricature of postmodernism. Goetsch seems to flatly equate postmodernism and moral relativism, placing their emergence in the hippie culture of the United States in the 1960s (p. 5). He even admits to discovering the existence of postmodernism sometime around the turn of the millennium (pp. 3-4). Arguing that postmodernism developed from the “do your own thing” mentality of the American ’60s into a “think your own thing” moral relativity—as Goetsch does on page five—is to mistake the result for the cause and the cause for the result. It is also historically inaccurate on a number of levels. His handling of postmodernism doesn’t improve in the following chapters which are riddled with instances of logical fallacy leading to an almost incoherent mishmash of truth and error. Third, the book’s handling of Scripture is deeply unfortunate. Goetsch cites 2 Timothy 4:1-5 repeatedly but makes almost no connection between it and what he says. That this book was developed from a series of sermons makes this point more concerning. Chappell, on the other hand, devotes the bulk of his sections to Scriptural exposition, attempting to draw his points from the text of Scripture. Unfortunately, his handling of Scripture is too often dubious. For instance, he characterises the Laodicean church based largely on the etymology of the name Laodicea. This raises the question as to whether the city of Laodicea was named after the character of the church that assembled there at one point in its history or whether the church was named after the town. Other instances could be given. Fourth, there are multiple instances of misrepresentation in the book which border on blatant dishonesty (e.g. the characterisation of the New Evangelicals on p. 38). The topics of the book are important topics that need to be addressed. Unfortunately, this book is so deeply mired in a particular Christian ghetto that it is hardly even coherent to Christianity in the mainstream. A disappointing read.